Benidorm is a destination that is linked to the hot months to enjoy the sun and the beach. But as we have tried to show in this blog, Benidorm is much more than a tourist destination where the beach is the only offer. 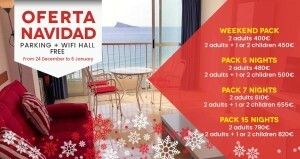 Spending Christmas in Benidorm can be a unique and perfect experience to enjoy those days with the family. The city of Alicante, at this time of year gives off all its Christmas spirit filling the streets with color and a unique and special atmosphere. Christmas in Benidorm offers a great variety of plans, activities and Christmas events for all ages and tastes, perfect to enjoy with children and family. The Plaza de SS.MM Los Reyes de España, known as the Plaza del Ayuntamiento is undoubtedly where the best Christmas atmosphere in the city is concentrated. You’ll find a large indoor ice rink, some attractions for children, food and shopping stalls… all decorated and decorated with the most Christmas spirit. A few metres away, on Gambo Street, you will find the Christmas Village, where children can deliver the letter to Santa Claus or the Three Wise Men. And in Tomás Ortuño street, you can visit the great Bethlehem. A beautiful Bethlehem with all the characters exposed where the story of the birth will come to life. An ideal moment to live with the little ones of the house. In addition, there will be numerous food stalls on the bridge and the purchase of some small details. Also, some Christmas markets, theatres and Christmas shows and some celebrations that the Commission of Festivals of the city organizes to welcome and enjoy Christmas. Enjoy Christmas in Benidorm, you will be able to live it as you have always wanted since the temperature of the city, far from being cold that prevents you from being in the street, will allow you to enjoy the best Christmas atmosphere. Great advantage, mainly, for the smallest of the house that will be able to live Christmas as always wanted. Do not hesitate and live Christmas in Benidorm! Christmas is an ideal time to visit Benidorm. There is no doubt that Christmas is a special and emotional time. Perfect to enjoy with family and friends. So, visiting Benidorm in December and Christmas may be your best option, leave behind the annoying cold and enjoy the city of sun and beach. The price: in other dates of the year where the price is more accessible to travel and go on holiday are dates where workers and schoolchildren do not have holidays, so we can not take advantage of these good prices. However, at Christmas prices are lower and the whole family can travel and enjoy those days away from home. Atmosphere: the city of Levante has a unique and special atmosphere. Enjoy Christmas in Benidorm and its illuminated streets. Enjoy family Christmas and come to Benidorm, good weather, low prices and unbeatable atmosphere, all in the same city, in Benidorm. 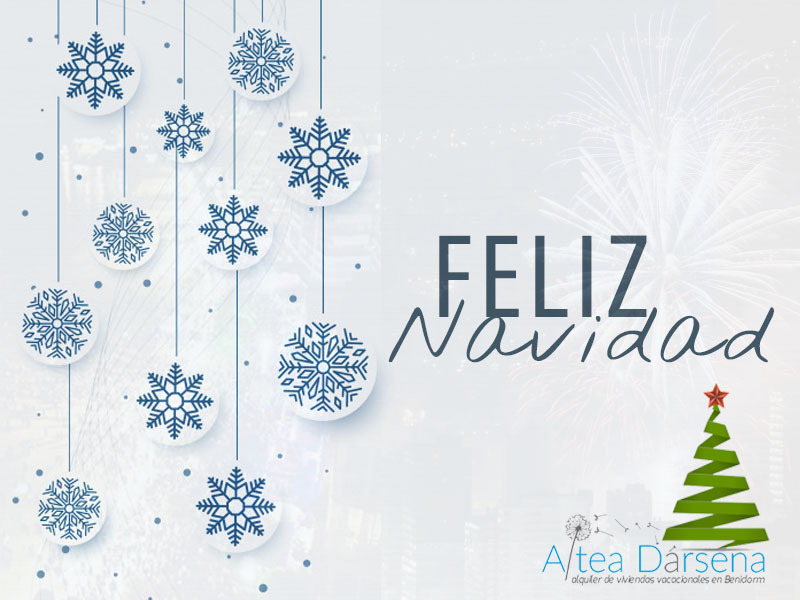 If you want a different Christmas, spend it in front of the sea with the ideal Altea Dársena apartments. 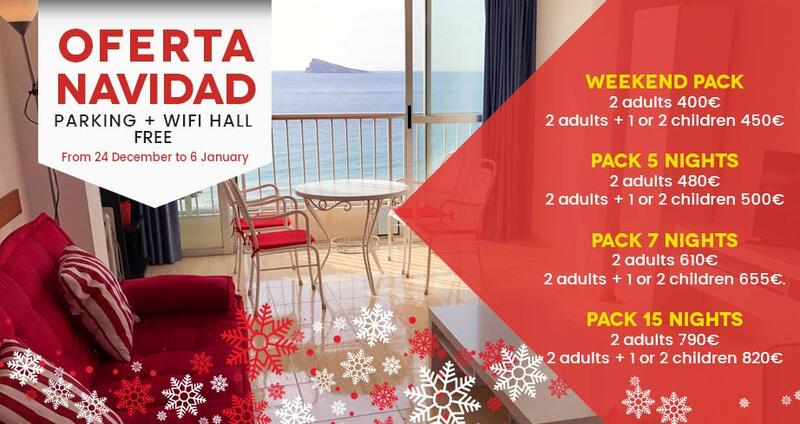 You will enjoy a dream Christmas, spending the nights relaxing in front of the sea and enjoying the good atmosphere and climate of Benidorm. Don’t think twice, we’ll be waiting for you in Benidorm!